Knowing prefix and suffix word chunks can help propel learners to the next level of reading. These affix vocabulary cards are great for supporting readers as they learn affixes and their meanings. 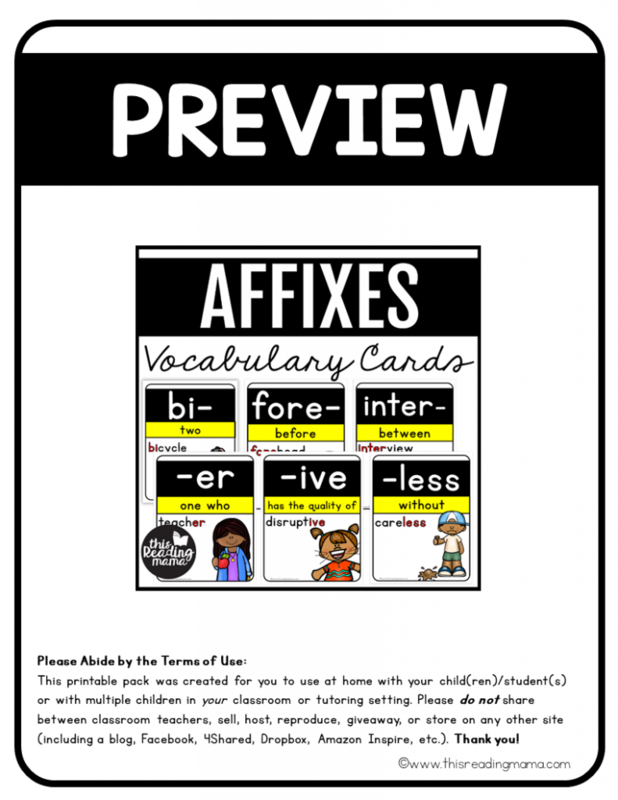 If you’re teaching learners who are ready to take reading and word study to the next level, these Affixes Vocabulary Cards are the perfect fit! These 22 common suffixes are included: -able, -al, -ant, -en, -er, -ful, -ish, -ist, -ily, -ity, -ive, -less, -ly, -ment, -ness, -ology, -or, -ous, -sion, -tion, and -y. BONUS: These cards also include 8 inflecting ending cards! Click HERE or on the image above to see the preview. 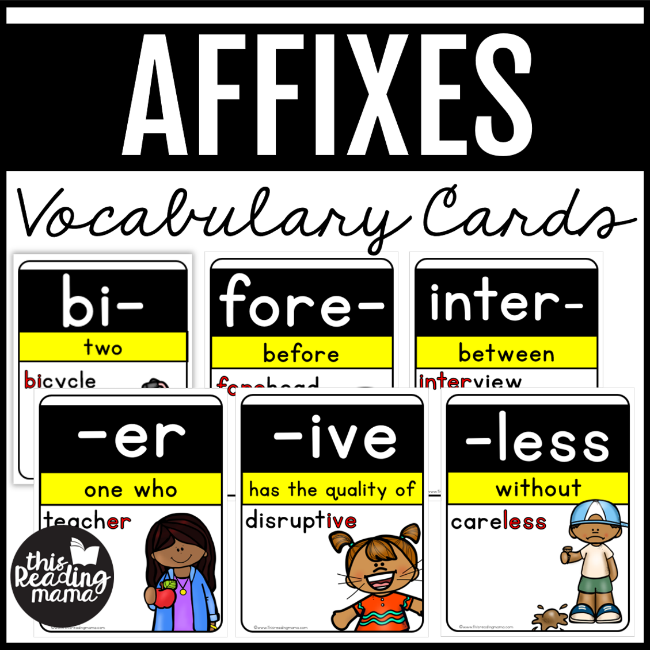 These affix cards are a part of our Phonics Cards MEGA Bundle Pack! 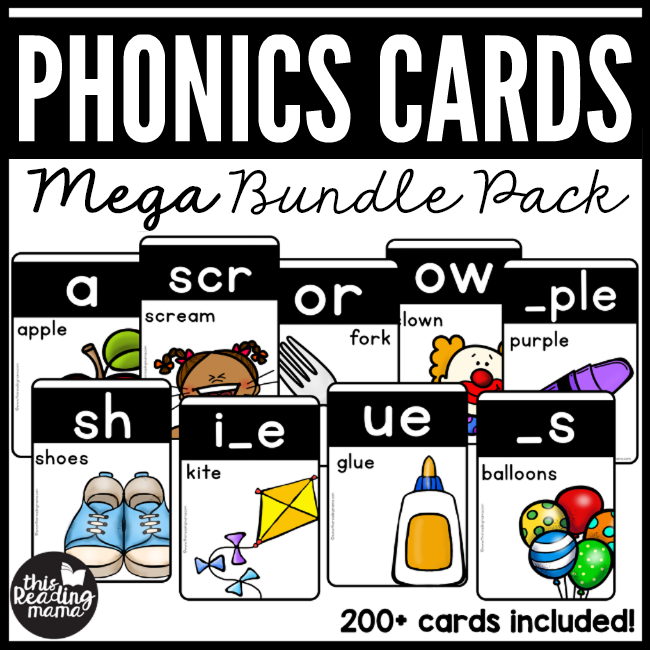 If you teach multiple levels of readers, you’ll want to grab all 200+ cards…from the ABC’s to Affixes in this comprehensive bundle.